I was at Alum Creek this morning with librarian Susan Labonte, who was great…as were the students and teachers. 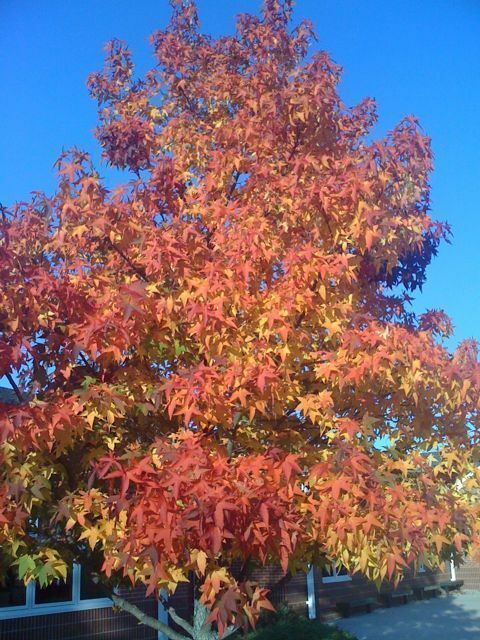 The leaves have turned in Ohio. I was greeted by a rather large Sasquatch as I walked through the front door. 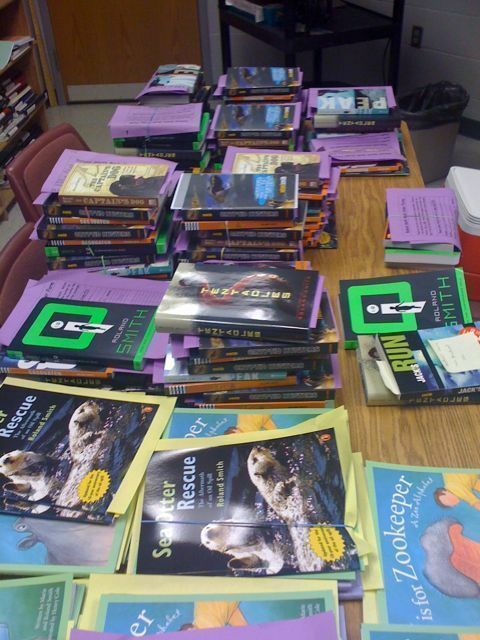 A lot of books to sign. 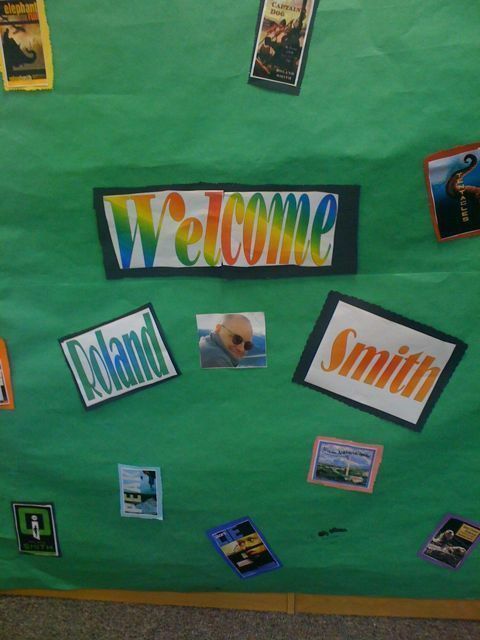 I spoke to 3rd, 4th, 5th graders well versed in Roland Smith adventures. For the second time this school year my pal Jerrty Pallotta (see favorite links) and I found ourselves in the same area speaking at different schools. He taxied over to my hotel last night and we went out to dinner. Marie and her mom decided to spend another night at her brother’s in Medford and are heading south today. At this rate it will take them weeks to migrate to Baja. Thanks for coming to Alum Creek. My class of fourth graders and I just loved listening to your stories, and it seems as though your advice has stuck with us. Yesterday, we revised our pen pal letters and one student just recopied without changing anything. When I sat down with him to revise together, he said, “Does this mean I have to write it again?” I replied, “What would Roland Smith say?” Two students sitting at his group answered. One said, “Revision is the secret to great writing.” The other said, “Stop whining!” Upon hearing this, he willingly started real revision. I believe you really affected them… dare I say inspired? Thanks again! Hi Maggie, I’m glad to hear that some of what I said stuck. Say hello to everyone for me.